In 1999, Chris received his Nursing degree from Our Lady of the Lake College in Baton Rouge, Louisiana. Because of his hard work and dedication to the field of nursing, he was awarded the Dr. John Beven Program Award 1999, for the Nurse who most exemplifies the Art and Science of Nursing. From there Chris began his career in Surgery and Pain Management. He has also practiced home health, gastroenterology, school nursing, family medicine, and Nursing administration. 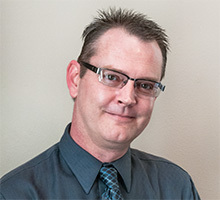 Chris currently serves as Director of Nursing at Jefferson Oaks Behavioral Health, where he specializes in Psychiatric Nursing, working closely with Dr. Higgins, Psychiatrist. He also works collaboratively, as a team member, with all disciplines of mental health professionals at Jefferson Oaks.